Among us from young to old/ both men and women, this is so common phrase in our daily life. 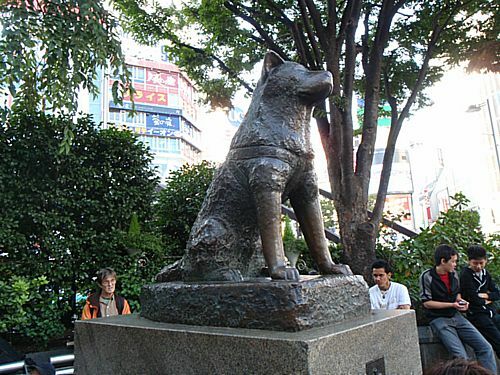 In front of Shibuya（渋谷） station in Tokyo（東京）, the statue of dog, we often call it as Hachiko（忠犬ハチ公）,has been standing for a long time. As almost all over the world may know, statue of Hachiko（ハチ公） is known as a great meeting place and tourist spot in the middle of massive crowded people in Shibuya（渋谷）. 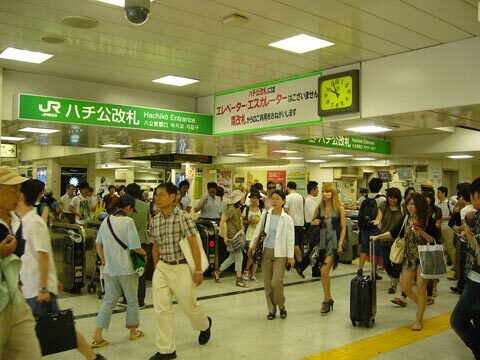 We often plan to meet up around statue of Hachiko（ハチ公） because it is said to be one of the best places to find out each other in chaos Shibuya situation . Today, we would like to share Hachiko（ハチ公）’s story that is so nice and heart full here. 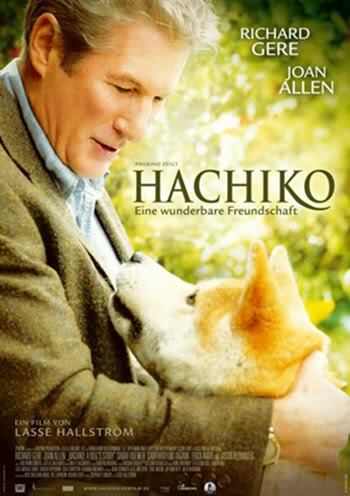 The story started about more than 100 year’s ago, there were a dog named Hachi and his owner. Hachi is well known as his outstanding faith and loyalty to his owner. In spite of his owner’s death, Hachi continued to wait his owner at an appointed place even a day of heavy rain and strong wind. To be surprise, his waiting for his owner with a strong faith and loyalty went on about 7 years. After we found this sweet story of Hachiko（ハチ公）, no one can stop crying and all of them try to have opportunities to rethink about our faith and loyalty to the people around. Hachi is now telling us an importance of appreciation that is actually forgetful especially in modern society. Now, Hachi is no longer lonely doggy anymore. His fans not only in Japan but also in all over the world are always together with him anytime and anywhere. Why don’t you visit statue of Hachiko（ハチ公）?